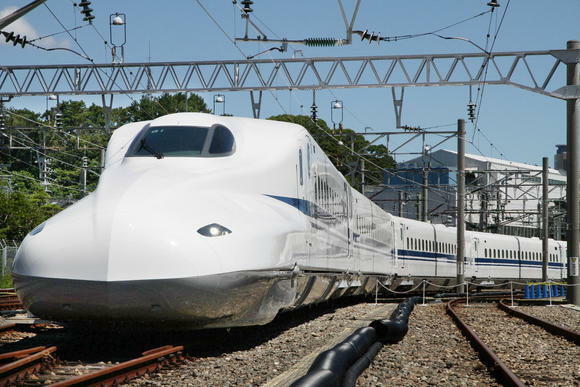 NAGOYA -- A project to develop a high-speed railway in the U.S. state of Texas, building upon the technological assets of Central Japan Railway, is tapping local businesses to raise about $4 billion, according to people familiar with the matter. The envisaged high-speed railway is to run a revamped version of JR Tokai's mainstay N700 series shinkansen on some 400 km [240 miles] between Dallas and Houston. Unlike most other high-speed railway projects, which are funded with state money, the Texas venture is being bankrolled entirely by the private sector. Locally financed Texas Central Partners is responsible for setting routes and acquiring the necessary land.